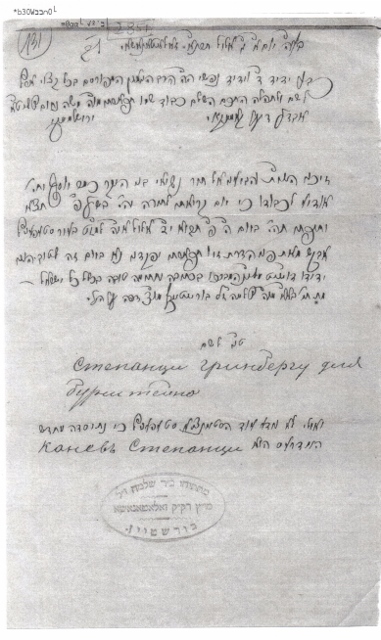 The letter is a invitation to the wedding of his son Joseph. he use a lot of words of honor to Rabbi Jerushlimsky. He invited him also for the ceremony in the synagogue in the Shabbat before the wedding, when the groom is calling to read the Torah. The letter is from 6 September 1891 and the wedding is on 17 September 1891.